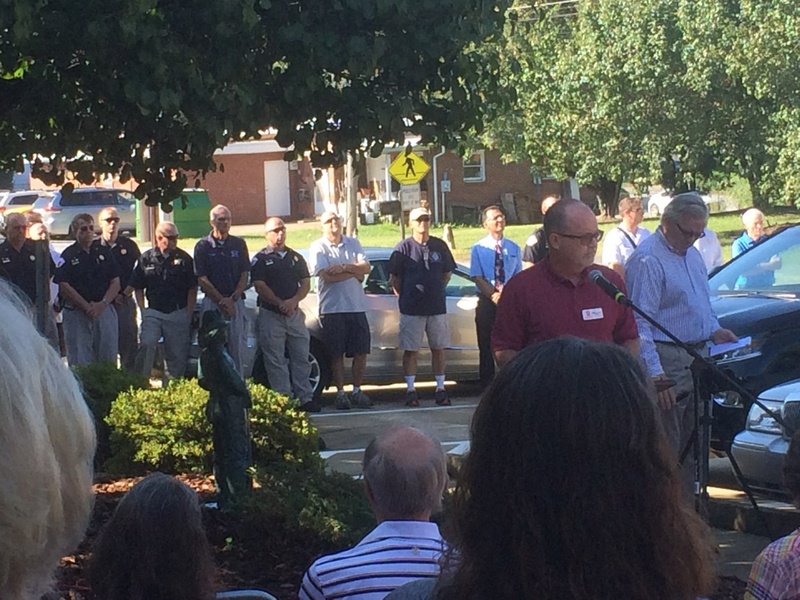 Sometimes the smallest events have the greatest impact on us, as was the case with our ceremony AV work for the Clemmons, NC September 11th Memorial. We were, of course, humbled and moved to be asked to join in this event and provide audiovisual support to the speakers. 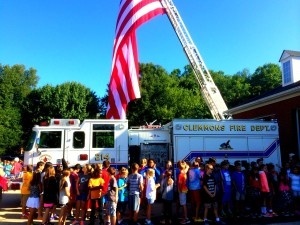 We were even more moved to witness this powerful display of our nation's beautiful flag atop the Clemmon's Fire Department tower ladder. The events of September 11, 2001 across our nation are without a doubt, the most tragic and memorable events of our modern era. We judge ourselves, in our day to day work, against a standard of excellence. On a day such as this, when called to broadcast a message of memory, agony, and the intrepid determination to rise from ashes as a country, we naturally stop to ask ourselves if there is a greater standard to offer than just excellence. 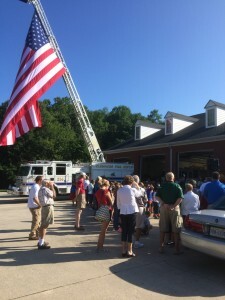 The sacrifice of all the lives taken on September 11, 2001 and all those lost avenging them, is so great and extreme, the little we have to give hardly seems enough. But it does indeed matter that communities large and small gather and bow heads, and it does matter than in all our hearts we desperately wish with unreasonable fervor, that we could turn back time. That we could undo on behalf of every life lost, every child left behind, every parent who lost a son or daughter. In our powerlessness is promise: We promise to remember, we promise not to forget, we promise to teach our children. 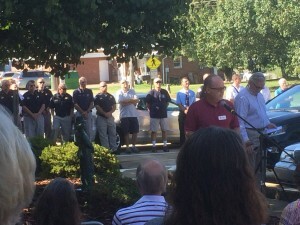 All of us at AV Connections - among us a New Yorker whose hometown was devastated by the events of that day - will never fail to keep the promise and broadcast the message. You are not forgotten, we've not lost you in vain. 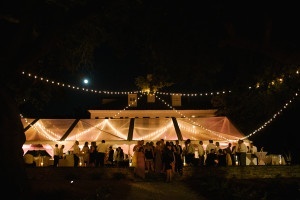 A Maxine Nightingale interlude: Party performer AV Rentals NC from AV Connections, Inc.
What a night, we were asked to provide party performer AV Rentals NC at the historic Lasater Mill House in Clemmons, North Carolina. 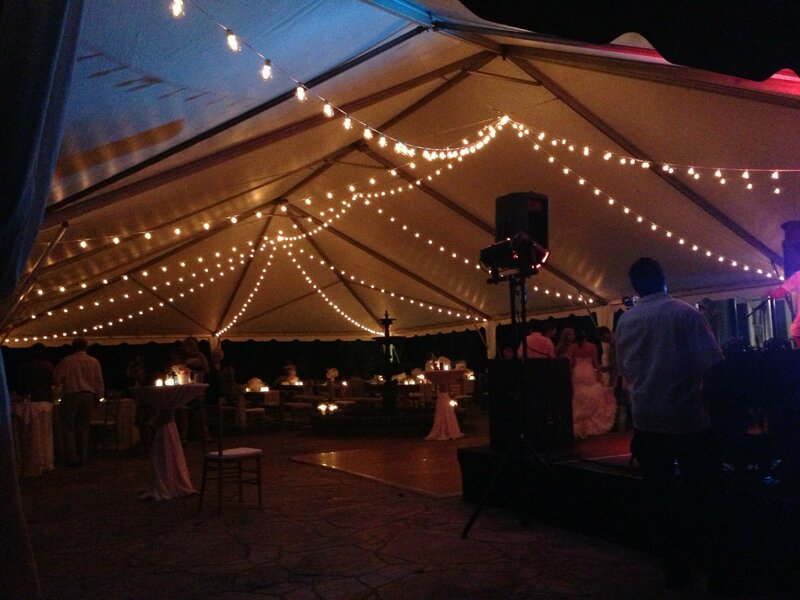 Sapona Ridge is one of our favorite outdoor locations, and from our set-up photos you can see why, the outdoor amphitheater space is a perfect place for a wedding reception or, in this case a great birthday party. Maxine Nightingale is a British R&B artist best know for her single, "Right back From Where We Started From." Maxine still looks incredible, she has not aged. 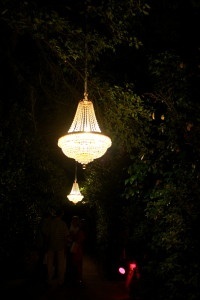 She was asked to perform at this very special birthday party and for that, you need great AV. 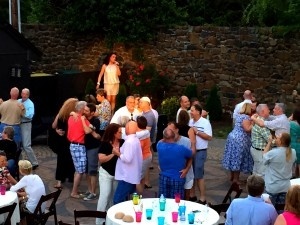 As you can see, Maxine got all the guests on to the dance floor that evening. 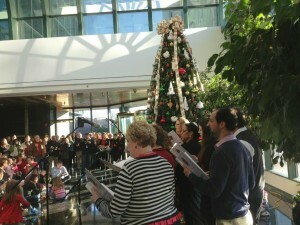 It was a little touch of stardom for everyone on attendance as well as our group. 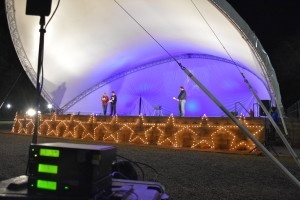 Supporting performances is one of many indoor and outdoor AV scenarios AV Connections, Inc. is pleased to support with NC's finest selection of AV equipment. Don't chance the performances of a lifetime to unproven vendors. 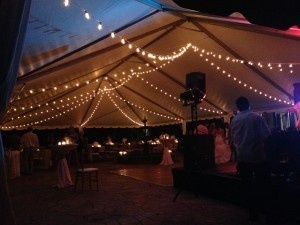 We have been serving satisfied AV rentals customers in North Carolina for thirty years, we will not let you down. 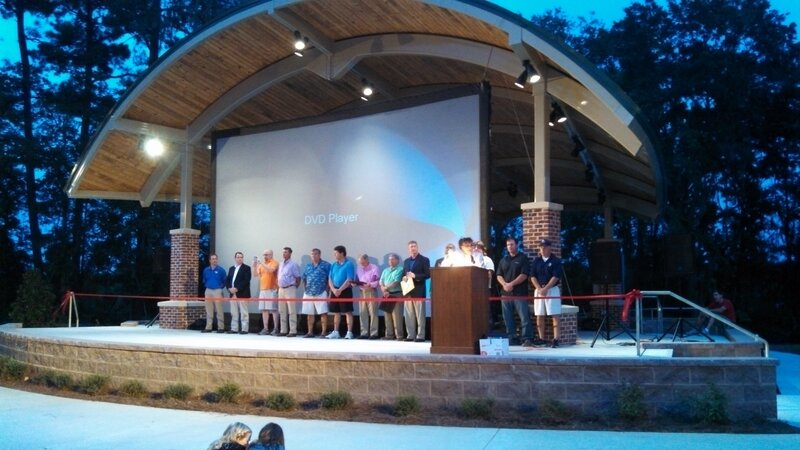 Outdoor AV rentals Raleigh NC by AV Connections, Inc.
AV Connections, Inc. provides outdoor AV rentals Raleigh NC to locations and events of every shape and size throughout North Carolina. 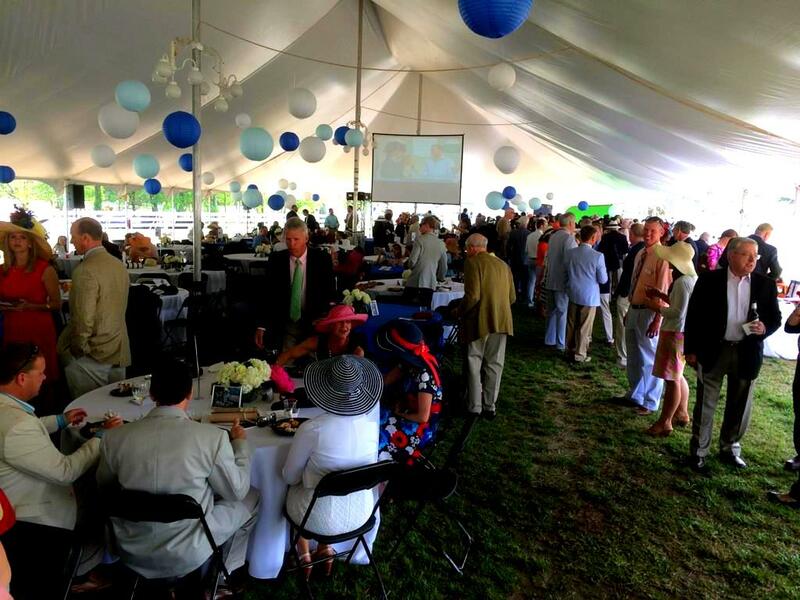 From the fabulous Kentucky Derby Classic Party, to races for cures, to outdoor graduation AV for many schools throughout North Carolina. 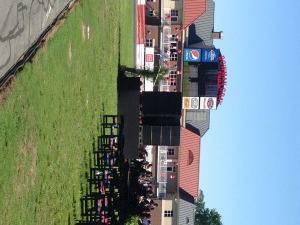 We are pleased to support many outdoor events with AV rentals and technicians throughout the Raleigh, NC area and the NC Triad. From our offices in Winston-Salem, NC we provide AV rentals and event lighting rentals to indoor and outdoor events throughout North Carolina, Virginia, and Washington, DC. We are always pleased to review your event and give a cost estimate based on the size of your attendance and venue. 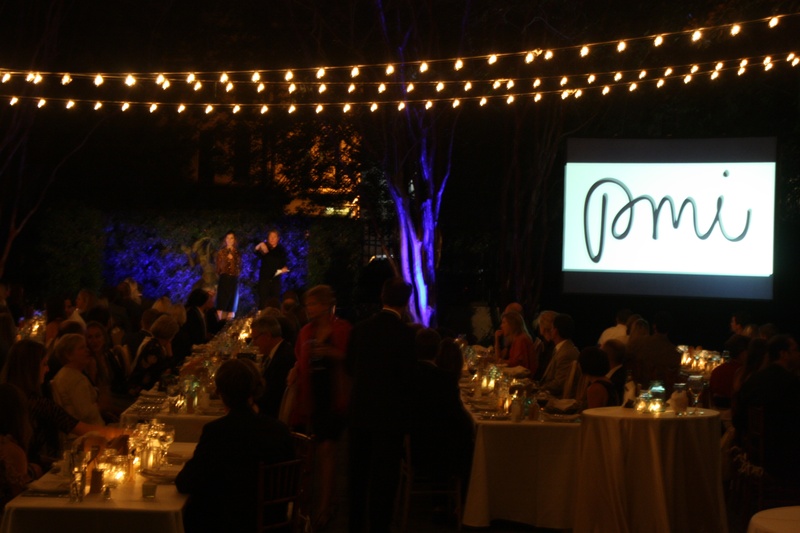 Great AV rentals and reliable outdoor AV rentals Raleigh NC technical teams are the key to making your event, conference, or gala go off without a hitch.  Get your message across flawlessly. 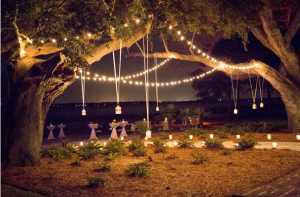 Give AV Connections, Inc. a call or email us at avrentals@avconnectionsusa.com, a technical team member is always available to discuss options and needs. 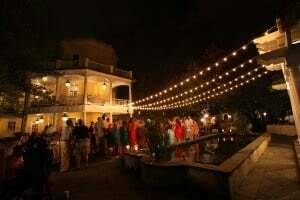 We are familiar with most Raleigh, NC venues and if they are new to us, we're happy to join you on a site visit. 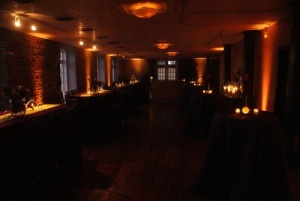 We look forward to serving you at your next Raleigh, NC event. 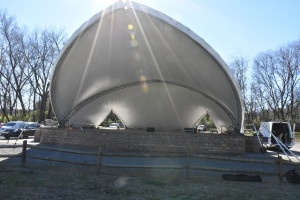 AV Connections, Inc. is a premiere outdoor AV rentals Charlotte NC provider and rental company. 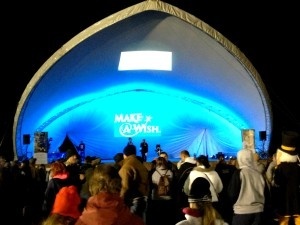 In our work with communities in Western and Central North Carolina, we are pleased to support the Western North Carolina Make-a-Wish Foundation. This past Saturday it was our pleasure to provide the HD projection for the Kentucky Derby Classic Event held yearly by Make-a-Wish of Western North Carolina. 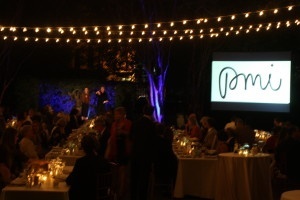 This is our second large outdoor event with this charity and it was great fun for all, attendees and vendors alike. We set up outdoor AV rentals Charlotte NC inside the tent on the grounds of High Caliber Stables in Greensboro, NC for a fabulous party attended by all manner of swell guests with spectacular hats just for the occasion. 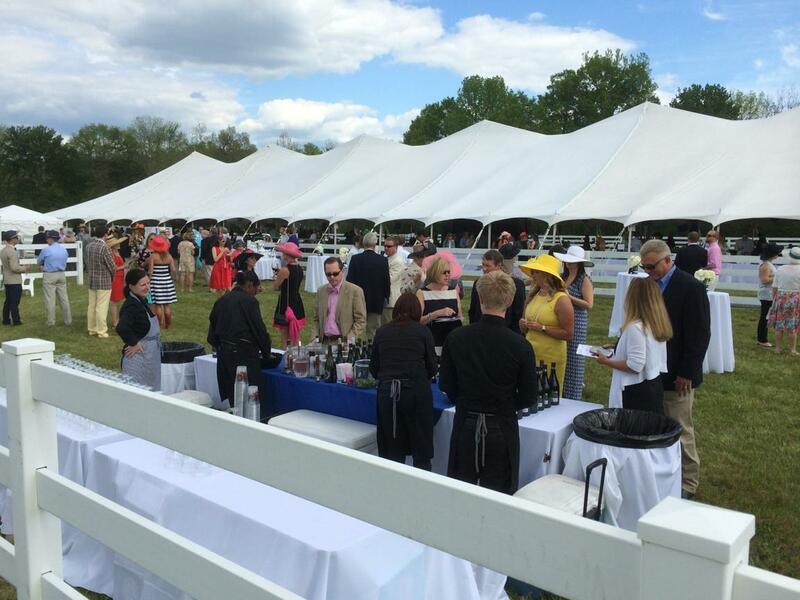 Our fast fold screens were erected by our outdoor AV rentals Charlotte NC team to give all the guests a great vantage point on our HD Kentucky Derby live steaming. 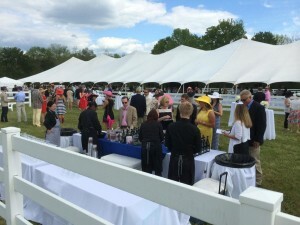 It was a great way to achieve donations for the foundation and to give the donors a lovely event to thank them for their continuing generosity to the charity. AV Connections, Inc. of Winston-Salem, NC provided sound, dual screen video projection, Christie 12,000 Lumens projectors, Extron switching equipment, JBL PRX series speakers, and Shure ULX wireless microphones. 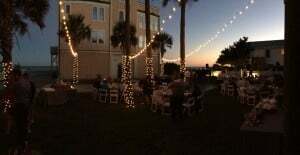 We look forward to providing you next outdoor event in North Carolina, Virginia, of Washington DC the finest AV rentals and technicians the East Coast has to offer. 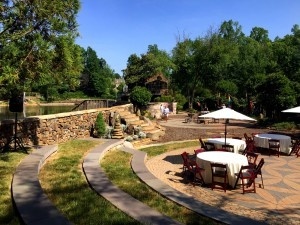 Contact AV Connections, Inc. for all your Charlotte, NC AV rental needs. 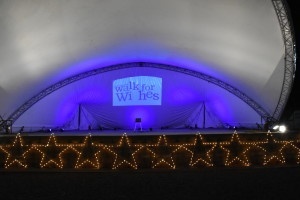 Event lighting rental NC by AV Connections, Inc.
A chill in the air brought a great event lighting rental NC happening for AV Connections, Inc. We were honored to be the event lighting rentals NC vendor and sponsor for the Eastern North Carolina Make-A-Wish Foundation's Tanglewood Walk for Wishes. AV Connections; North Carolina branch provided presentation audio, LED stage lighting rentals, and a custom Gobo graphic overhead in the amphitheater. 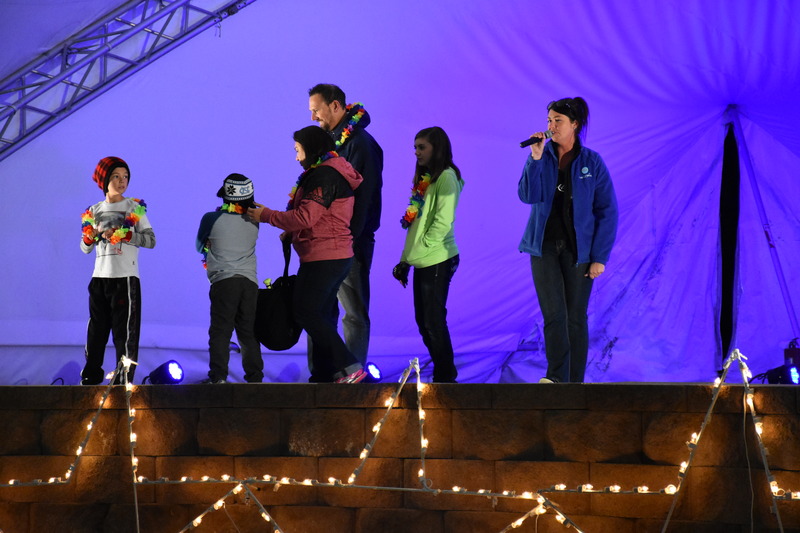 To date the Walk for Wishes has raised $153,000 for eastern North Carolina's children. 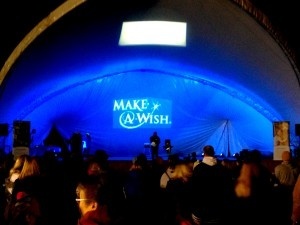 The event had huge attendance which will help to keep Make-A-Wish generating good days for children for the next year. We were lucky to have a beautiful cool night for this outdoor event. 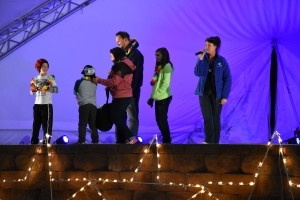 This was the fifth year for the Walk-for-Wishes at Tanglewood Park in our hometown, Winston-Salem, NC. 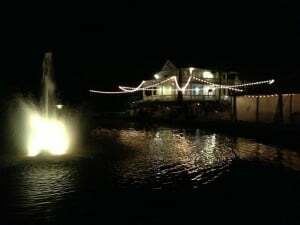 The 5K walk takes participants through the legendary Tanglewood Festival of Lights - a great way to get some exercise, raise money for a great cause, and do it all under the seasonal light displays in the park. Everyone in attendance is looking forward to Walk For Wishes 2015 and we are looking forward to helping Make-A-Wish raise more money for their comforting work. 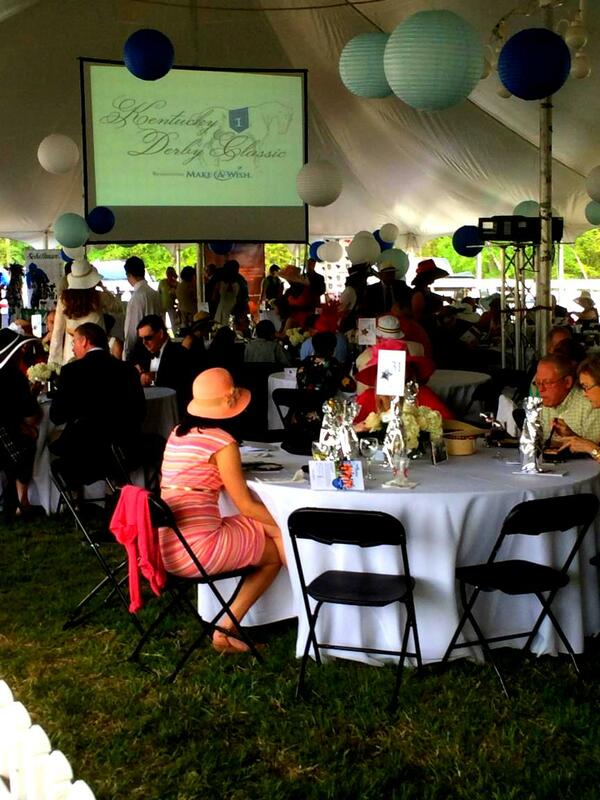 we will see you at Tanglewood in 2015 for this important charity event.